Even though Going Back To My Roots by Odyssey was released in 1977, it still highlights the struggle that we face in our modern technological world to reconnect with our roots. The further we get into the 21st century, the harder it is for us to really understand what our roots are. However, the world of beauty is a leading force in the fight against this disconnect and has begun producing more natural products. Consumers can feel close to the earth again, as well as reduce their environmental footprint and make their bodies feel good. And we have to say, it feels great to reconnect with our natural roots. Even though Herbology sounds like something straight out of Hogwarts (in the Harry Potter series, the heroes have several fictional herbalist courses at school), the idea and practice of alternative medicines have been prevalent all throughout Russian history. Herbalists and sorcerers really did use herbs to create natural treatments for their patients, and healers used their own forms of magic for cures. This tradition is still practiced all over Russia today, and successful herbal healing centers can be found across the country. Families continue to transmit their natural beauty secrets to their progeny. Ivana Iesini, founder of ALBIVA, is a member of one such family. Her beloved herbalist grandmother Albina passed along knowledge about natural beauty recipes during Iesini’s childhood, teaching her how to recognise medicinal plants and their uses, and using organic nettle infusion for shiny hair and lily flower ointment to help burn scars. Iesini fell in love with natural products thanks to this loving teaching and decided to share her family’s beauty secrets with the rest of the world. Using her grandmother knowledge and what she learnt by herself, she created ALBIVA. 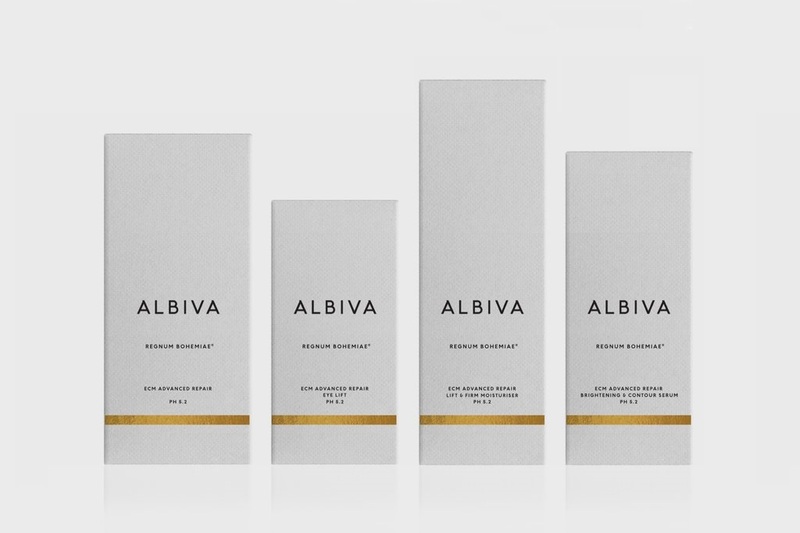 ALBIVA promises to stimulate our cells’ regeneration by using our own biology, resulting in healthier and more beautiful skin. The brand works with Gemmotherapy, a Herbology method that uses only the most beneficial healing buds and shoots of the plants to achieve better skin. This is also why they use as many organic ingredients as they can, including antioxidant-rich organic raspberry water to all of their products. All of their products are also guaranteed 100% cruelty free (not tested on animals.). Inside this cleanser, you can find vitamins A, B5, C and E, squalane, allantoine, glycerin, neroli oil and aloe barbadensis leaf juice. It is 19% organic, and contains 88% of natural ingredients. With 98% natural ingredients, such as glycerin, sodium hyaluronate and aloe barbadensis leaf juice, this toner uses B5 and aloe to balance pH levels. Full of Vitamin A, E, and C, among others, this serum uses seven Swiss Alpine plants to make skin brighter and reduce dark spots and hyperpigmentation. It also promises to make skin more radiant and youthful. Companies have taken part in this growing trend by including CBD (Cannabidiol) in their beauty products. CBD is a compound of the cannabis plant, and is collected from its buds, flowers and leaves. Contrary to what most people think, CBD oil won’t make you high, because it doesn’t contain any of the psychoactive substances found in THC (Tetrahydrocannabinol). And as long as these products have less than 0.2% THC content levels, they are legal in many countries. Because of CBD’s many benefits, it has turned the beauty industry’s head. The nutrients found in CBD oil help with rapid healing, growth and smoothing wrinkles. CBD’s anti-inflammatory properties have been shown to help with eczema, and paired with its work to reduce the sebum produced by the sebaceous glands, may also allow it to help reduce acne. In addition to all these great benefits, CBD products have also been proven to reduce anxiety! London-based Pure Hemp Plus is one of these brands that uses the healthiest ingredients to make delicious products. Founded by a brother-sister duo, the brand aims to inspire their consumers with healthy and positive lifestyles, and help them understand that CBD is a great ingredient that can make everyday life better. They have a range of products that include oils and honey with CBD oil. Their 10ml bottle are made with customers in mind, and are portable and easily accessible. This water-soluble organic oil gives you a boost of energy, and since it helps with inflammation, it’s perfect for pain-relief. Full of antioxidants and omegas, this hemp and argan based serum both moisturises and improves the elasticity of your skin. 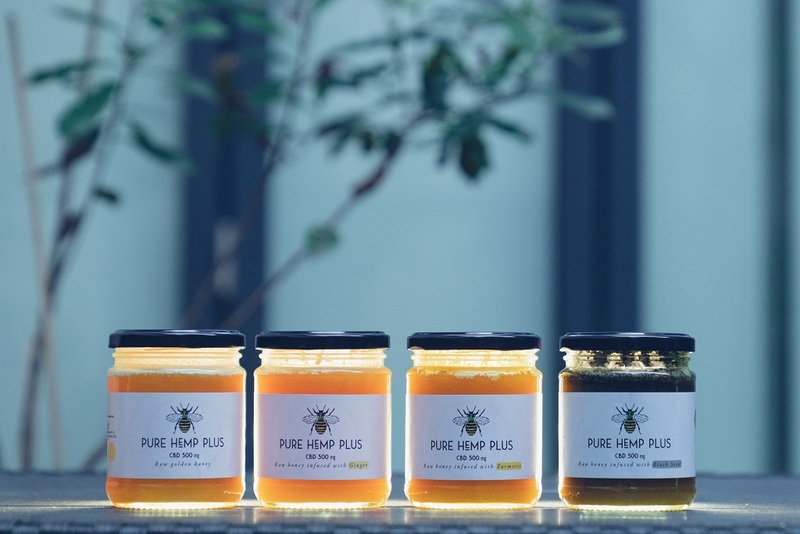 One special feature of Pure Hemp Plus is their range of natural, raw and unpasteurised honeys that are mixed with CBD isolates to boost their existing natural health benefits. From turmeric-infused honey to an Egyptian black seed honey that fights infections, there is a large variety of honey that would be perfect to try on a toast or inside a cup of tea. Cindy Capobianco, a former public relations executive, founded Lord Jones in 2000. Lord Jones sells CBD products free of THC. The brand, endorsed by celebrities like Olivia Wilde, hopes that they can show consumers how beneficial CBD can be for both body and mind. All of the products are made with Ecuadorian dark chocolate, European fruit essences and CBD taken from hemp cultivated in the USA. The brands sells a variety products, from food to skincare and capsules. They even have all-natural gumdrops. The most famous product sold by the brand is their CBD-infused body lotion. The 50mL body lotion contains fresh notes of sage, mint and green citrus. Best of all, it is vegan and cruelty-free. If it sparks your interest, you can also find CBD products from other brands, such as he Milk MakeUp Kush mascara, the Mirai Clinical CBD bath bomb (with 4 different scents proposed), the EMERA CBD Nourishing Detangler Plus and the ENDOCA Lipstick Skin 20mg CBD. Now you know the benefits of CBD oil and alternative healing products, take advantage of it and become a trendsetter. Chloe Williams and Mélusine Estebe-Brunault Melusine Estebe-Bruault.